Our Twister 800mm banner stand is the best option to replace a traditional roller banner when it comes to outdoor events. 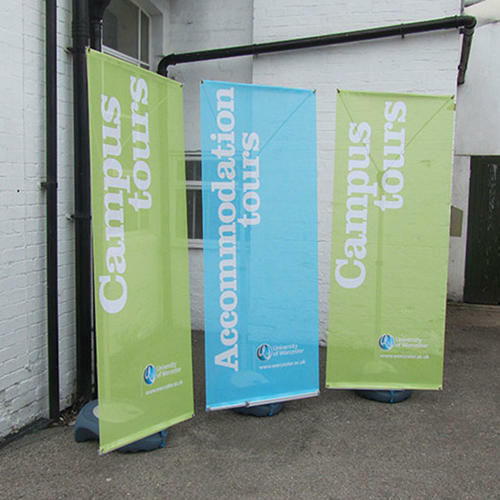 Complete with sturdy frame and 12-litre water base, it can stand up to a condition where a roller banner would fail. Available printed on either PVC non rip or mesh material. Visual area 1800mm x 800mm.